During my visit to Azad Kashmir, I came across a truck on the road that was unusually bereft of any truck art; it’s exterior was all plain apart from a few words boldly painted at the back, clearly stating “Boom boom Afridi”. It proudly exhibited the truck owner’s love for the Pakistani cricket player, Shahid Afridi. 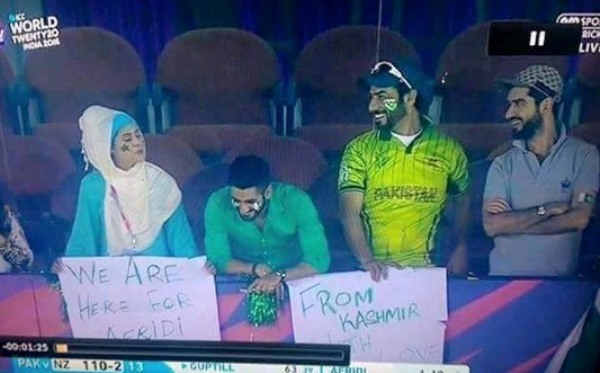 This immediately reminded me of the first scene from the Bollywood film ‘Bajrangi Bhaijaan’ , showcasing Pakistan’s side Kashmiris cheering for Team Green, a lady among them who was even willing to name her new born after Afridi. Kashmiris travel a long way to watch #PakvNZ at Mohali tonight. This is crazy. This is love exemplified. Wish it's recognised. 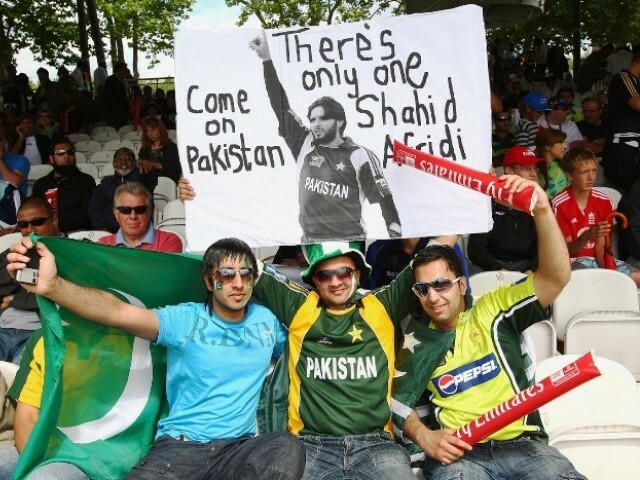 This recognition of support by Afridi made Kashmiri spectators ecstatic. After all, who wouldn’t want their love to be appreciated before the world, and that too by their favourite sportsperson? The next day, BCCI came out criticising Afridi for using the K-word and advised him to abstain from passing any ‘political’ statements. It’s ridiculously hilarious that a mere appreciation of people and their support has been associated with politics – why? 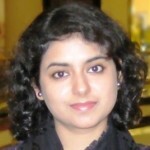 Because the fans in question belonged to a place that is in dispute between India and Pakistan; a notion that makes no sense at all. Mr Shekhar Gupta should really explain to all of us how thanking the people of Kashmir was in any way an attempt to resolve the Kashmir issue! Don't quite understand the heartburn. #Afridi thanked fans from Kolkotta & Kashmir, a perfectly nice sporting thing to do. What's with hate! Feel sorry for Indians that refuse to acknowledge the sentiments associated with Pakistan at least in Cricket among Kashmiris. Don't hate. In both circumstances, Afridi’s words were not even remotely political. It’s shocking to see how India has reacted to the mere mention of Kashmir. After all, how could thanking the crowd for their support be in any way political? And let’s not ignore the fact that both these times Kolkata and Kashmir were mentioned synonymously, a point that has been hypocritically ignored. Afridi’s words could only have been termed as ‘political’ if he had talked of occupation, the freedom movement or any kind of relevant dispute. However, there was none. The reaction of BCCI was quite uncalled for, disappointing and irrelevant. This instance only reflects one thing; India’s sensitivity towards Kashmir, so much so that it becomes intolerable for them to even hear a Pakistani using the K-word while standing on their soil. It is equally pertinent to acknowledge that this is not the first time Kashmir’s support for Pakistan’s cricket team has come into the spotlight. Kashmiris have been cheering for Pakistan for quite a long time. This has also been the cause of beatings, expulsions from educational institutes and also bookings under sedition charges in India. All these incidents bear an underlying message; it is high time India accepts that, when it comes to cricket, Kashmir – on both sides – generally, has sentiments for Team Green and Shahid Afridi. Accepting this fact will not hurt the Indian political narrative on Kashmir in any way. There is your answer right there. Kashmir is not just some separatists in Srinagar. Actually, it’s not a big deal, it started with the Generals and the politicians being followed and egged on by the masses and now even the sportspersons do not want to miss out on the opportunity of using Kashmir for their own gains. Your attitude and bias is distancing Kashmiris and all Muslims of India from the Indian state. India is destined to disintegrate in few years. Modi will prove to be Gorbachev (of former USSR). You must see state terrorism by India in Pakistan and other countries of the region. One man among many has been caught by Pakistan. Your man confess that he has rank of a Commander in Indian navy and was planted by your RAW to plane and execute terrorism in Pakistan. He has confessed responsibility of many terrorist activities in Pakistan in which thousand of innocent citizens of Pakistan including minorities were killed. Trust me, we would feel just fine. After all, they are same people, have same religion.